We are sure that coquettish design of this store will be highly appreciated by your customers. Background pattern makes it more sophisticated. Clothing items advertized in the slider ideally fit plump models. Banners around it have an unusual catching design. 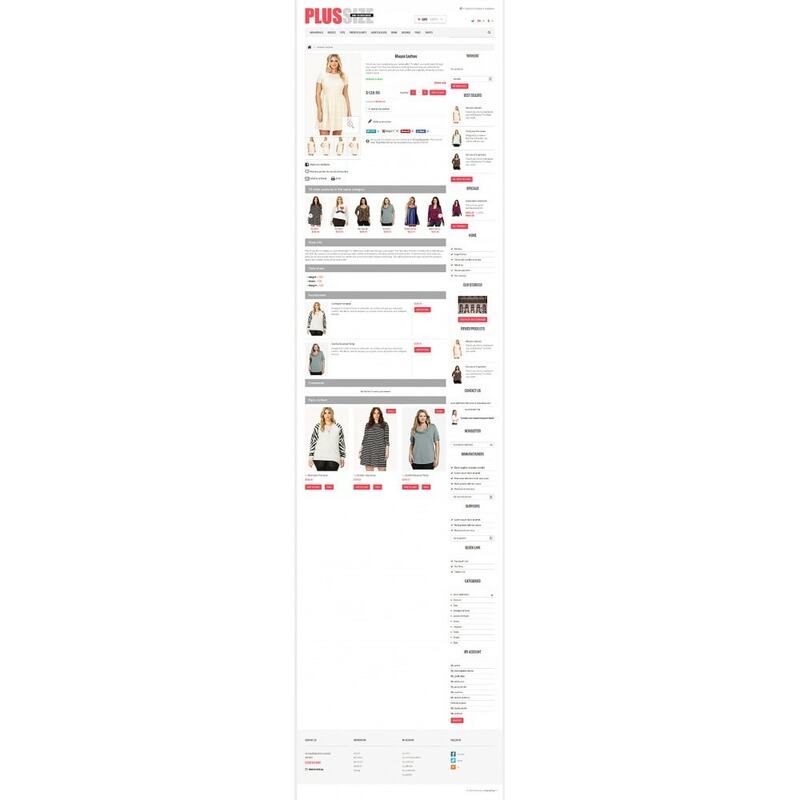 The same with 'Add to cart' buttons that have triangular shapes. Featured products look very appealing over the white background. Service information together with social sharing icons can be found in the footer. 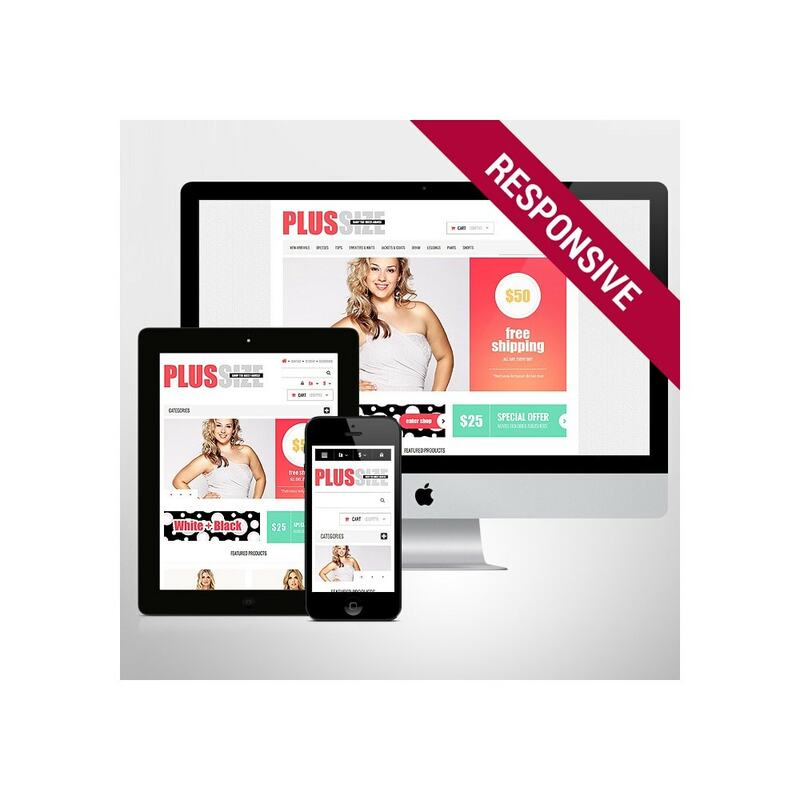 Get this template today and leave your competitors far behind tomorrow. 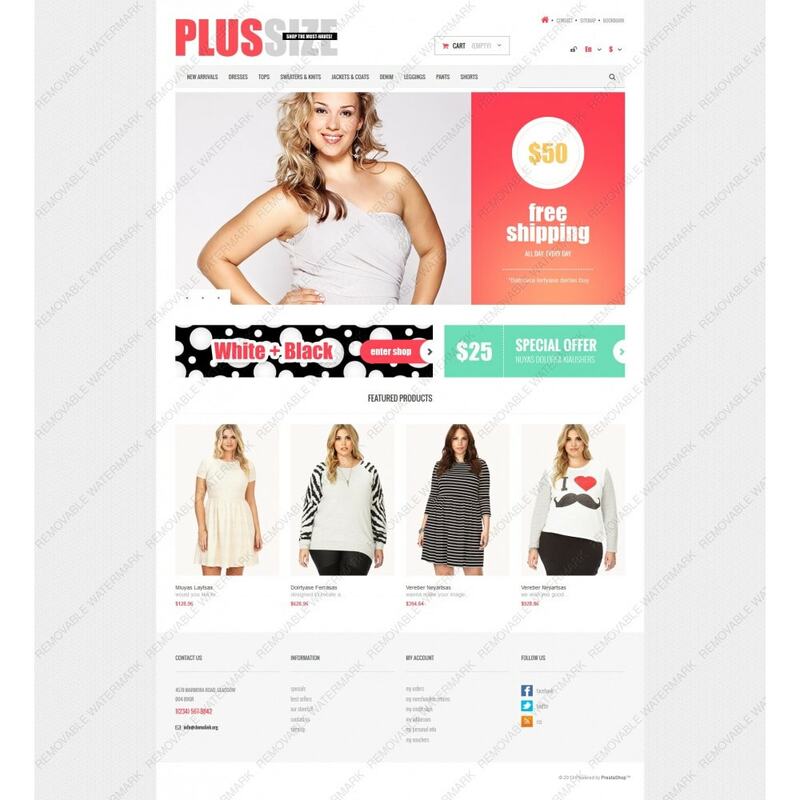 The template was created for online plus size clothing, foootwear and accessories stores.